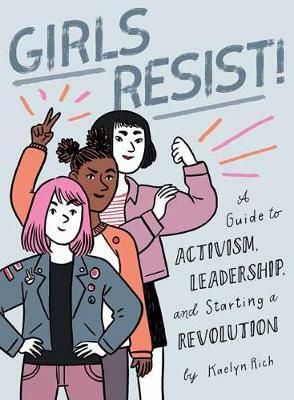 GIRLS RESIST is a cool, relevant, timely activism handbook that speaks to teen girl readers like the intelligent and passionate people they are. In this age of political Teen Vogue editorials and teen actors frankly discussing topics like feminism and white privilege, young women are more engaged, excited, and fired up than ever–but they also need guidance. Chapters will cover standard topics like picking a cause, fundraising, networking, and protesting, but devote plenty of space to teen-specific topics and how-tos like having tough talks with unsupportive family members, lobbying and campaigning for representatives when you’re too young to vote, and best practices for being effective (and safe!) while raising awareness on social media. Plus, the fresh design will make this as much a self-purchase as a gift, fitting perfectly between magazines and YA novels on a teen girl’s shelf.